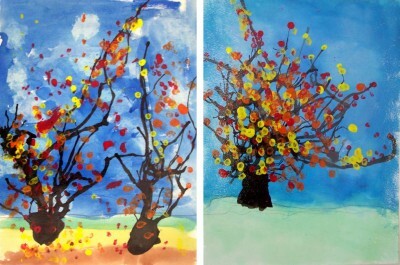 Make beautiful fall trees using a straw, paintbrush, and q-tip. Each is totally unique. Requires drying time in between steps.